It is empty to tell people that the current economic sufferings are temporal. Please, if the government cannot genuinely palliate the suffering of the Nigerian people, lift burdens and break the economic yoke hanging on the necks of the people, it should not do things that will continue to fuel the fires of poverty. Government at all levels must wake up to the realisation that governance is primarily about people, the Nigerian people – their health, education, happiness, security, employment, sense of fulfilment and general well-being. The governments in Nigeria must take the social contract that they have with the Nigerian people very seriously. It is the responsibility of government to deliver the basic necessities of life in most cases and to create the environment that will guarantee all that citizens need for a decent human existence in peace and godliness. Everyone knows that the majority of Nigerian people are suffering. People are weighed down by abject poverty. Socio-economic conditions have been on a downward spiral for decades. The basic necessities of life like food, shelter, clothing, potable water, healthcare, basic education, clean environment and the likes are not accessible by the majority of our people. 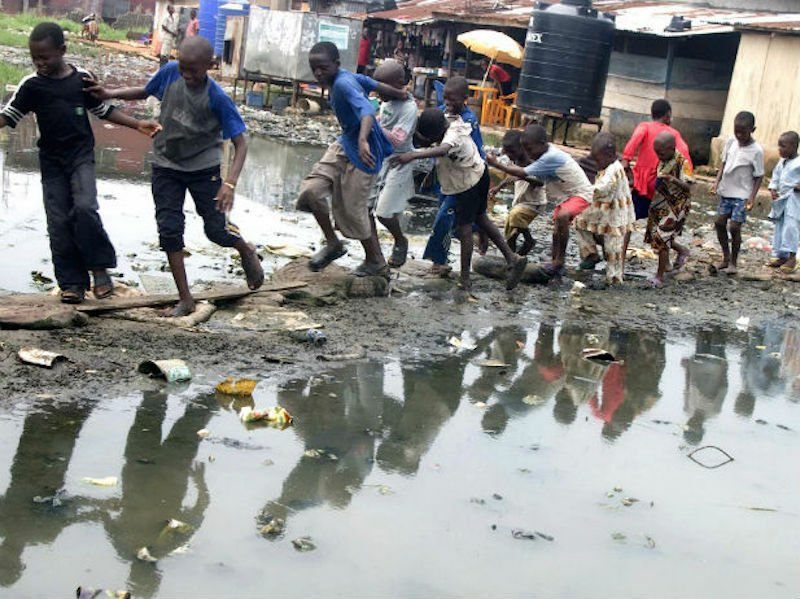 The previous policy document of government, the National Economic Empowerment and Development Strategy (NEEDS), captures the socio-economic reality of the Nigerian people where it states that, “The growing incidence and the dynamics of poverty in Nigeria have stratified and polarised Nigerian society between the haves and have not, between the North and the South, between the educated and the uneducated. Poor parents beget poor children, creating a kind of dynasty of the poor, which makes the divide between the rich and the poor.” The current state of things is currently widening the divide between the rich and poor, which makes it impossible for people to break free from the shackles of economic hardship. The job of government is to do everything politically and economically possible to bridge the socio-economic gulf between the rich and the poor, to attain peace, personal dignity, prosperity, liberty and happiness. To the everyday Nigerian, things are moving from bad to worse. It appears that most of the policies of this government are anti-poor; from the increment in the electricity tariff, to the confusion associated with the forex policy, the introduction of stamp duty, the removal of subsidy on PMS and we are also hearing rumours that government is planning to increase VAT to 10 percent. The last election, for the people of Nigeria, was one of hope, promises, redemption and a future where the burden of socio-economic hardship would be rolled away. In the eyes of most people who supported and voted for President Buhari, he was a type of messiah. They saw a messiah they expect to turn stone into bread to address Nigeria’s hunger problem. A messiah whose body language they claimed increased electricity generation, thereby turning darkness into light. One who they hoped, at the snap of a finger, could make one dollar equal to one naira. He seemed like a messiah that could not only make petrol sell for a sum not more than N40 per litre, but could ensure that the queues at the fuel stations are a thing for the history books. Unfortunately, there is only one messiah who could do all these and more, but His name was not on the ballot in the last election. Nigerians knew that things were bad and this is why they elected this government of change. To the everyday Nigerian, things are moving from bad to worse. It appears that most of the policies of this government are anti-poor; from the increment in the electricity tariff, to the confusion associated with the forex policy, the introduction of stamp duty, the removal of subsidy on PMS and we are also hearing rumours that government is planning to increase VAT to 10 percent. We should not even mention the ongoing debate on the devaluation of the naira. All of these things have conspired to multiply poverty in Nigeria. To most people, the increment in the pump price of petrol is nothing but an economic petrol bomb that would multiply hardship and further fuel the fire of poverty. Whatever the government is doing is adding to the economic burden of the people. If the government wanted to remove subsidy on petrol, it should have shown the people an iron–cast map of, say five years of, how Nigeria would build capacity to refine our crude and what process would lead to a fall in the price of petrol per litre. This way people can endure because they can see an end date in sight, thereby giving them something to hope towards. It will be unfair to say that some of these policies are unnecessary, as much as they are needful, the government has appeared slow and indecisive. The government allowed too much speculation and uncertainty with most of these policies, particularly the handling of the petrol subsidy. Policy inconsistency and summersaults added to the bite of the forex policy of government. Nobody is questioning the integrity, intention and sincerity of the government, and it would be too early to say anyone is incompetent with the handling of the economy. The issue is very simple; people are hungry and economically worse off. People think that the government has been spontaneous in the formulation of these policies and also shows a lot of knee jerk reactions. How do you explain the government reducing the price of petrol by 50 Kobo some months ago, only to increase it by over 55 naira now? It appears these policies are not based on any informed or intelligent matrix. Life is hard enough. Nigerians have suffered enough and are still suffering. Boys are not smiling, and even the rich are crying. Businesses are shutting down; the prices of essential commodities are skyrocketing. Whatever the government is doing is adding to the economic burden of the people. If the government wanted to remove subsidy on petrol, it should have shown the people an iron–cast map of, say five years of, how Nigeria would build capacity to refine our crude and what process would lead to a fall in the price of petrol per litre. This way people can endure because they can see an end date in sight, thereby giving them something to hope towards. It is empty to tell people that the current economic sufferings are temporal. Please, if the government cannot genuinely palliate the suffering of the Nigerian people, lift burdens and break the economic yoke hanging on the necks of the people, it should not do things that will continue to fuel the fires of poverty.